Arthritis is very common but is not well understood. Actually, “arthritis” is not a single disease but is a way of referring to joint pain or joint disease. There are more than 100 different types of arthritis and related conditions. People of all ages, sexes and races can and do have arthritis. Common arthritis joint symptoms include swelling, pain, stiffness and decreased range of motion. Symptoms may come and go. They can be mild, moderate or severe. They may stay about the same for years, but may progress or get worse over time. Severe arthritis can result in chronic pain, inability to do daily activities and make it difficult to walk or climb stairs. 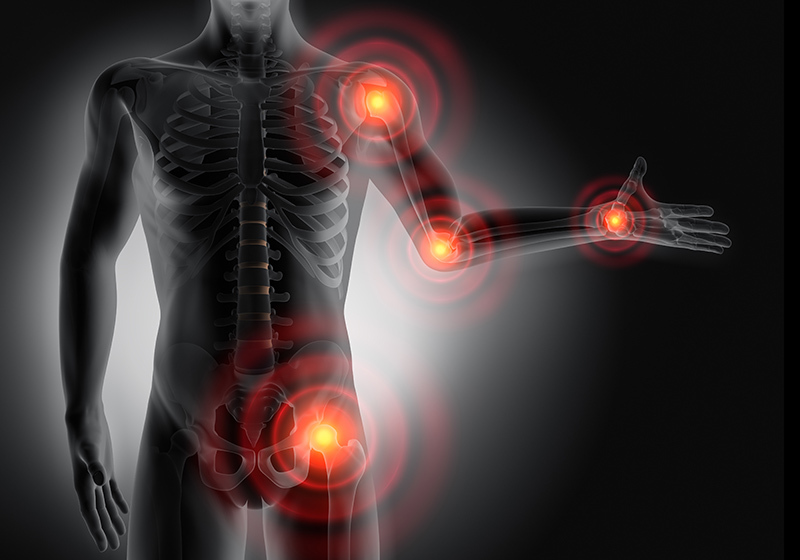 Untreated inflammation can eventually lead to joint damage, destruction and disability. Some forms of arthritis can also affect the body’s internal organs. Osteoarthritis (OA) is the most prevalent type of arthritis, affecting more than three million Canadians. Inflammatory arthritis is a group of conditions whereby the body’s defense system begins to attack the tissues of our joints instead of germs, viruses and other foreign substances. This can result in stiffness, pain and joint damage. As a result of this damage, some of the joints may gradually change shape and deformities can develop. Recent studies on the effects of massage for arthritis symptoms have shown regular use of the simple therapy led to improvements in pain, stiffness, range of motion, hand grip strength and overall function of the joints. Learn more about arthritis at the Mayo Clinic or The canadian Arthritis Society.